I’m taking a break from molls and smart-mouthed hoods today to write about a good ol’ fashioned “dark house” mystery: The Spiral Staircase. I saw it for the first time last night and am pretty hyped about it, so I have to get this review of my chest. 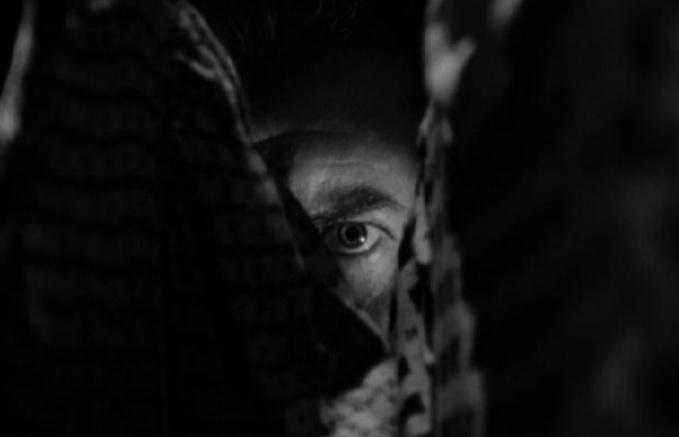 Directed by German transplant Robert Siodmak and shot in balls-out expressionistic mode by shadow meister Nicholas Musuraca, the film is a masterful exercise in suspense with a helluva one-two punch at the climax. The atmosphere in this one is almost inconceivably dark. It’s like sticking your face in a can of black paint, then trying to make your way through a large house. It’s a powerful visual experience wrapped around a wicked little mystery. And I haven’t seen a staircase captured so passionately since Odessa.